A poll of a small group of UK pharmaceutical industry leaders conducted by pharmaphorum has found most believe that Brexit will cause long term damage to the industry. A total of 11 individuals responded to the pharmaphorum online survey, including the managing directors of UK operations at six big pharma companies. Asked what they believed the impact of Brexit would be, 7 (64%) said it is “likely to cause long term damage to the UK pharmaceutical industry”. 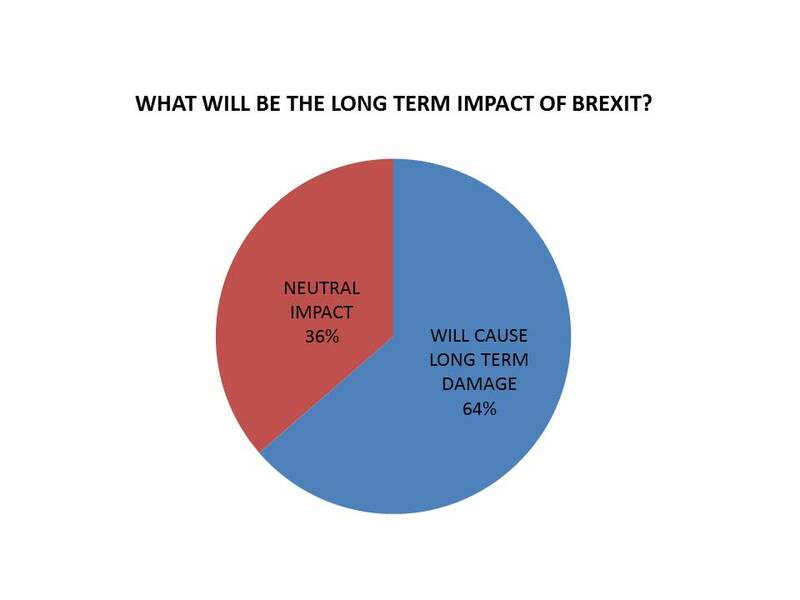 A further 4 (36%) were more optimistic, saying that leaving the EU would only cause short-to-medium term problems, with a neutral long-term impact. However none believed that Brexit would positively improve conditions in the UK market. In many ways the result is no surprise, as UK pharma leaders had been more or less unanimous in campaigning against the UK leaving the European Union before the vote on 23 June. 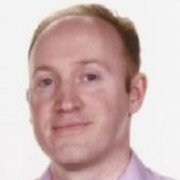 But the sentiment conflicts with the optimistic approach taken by the UK pharma trade association the ABPI since the referendum result, and clearly shows many UK leaders are sceptical about assurances from Prime Minister Theresa May and her government. It has been trying to reassure UK and international businesses, as well as the electorate, that it can secure a deal which will allow it to exit the European Union, keep access to the single market but enforce restrictions on immigration – all while positively boosting the economy. The ABPI says it is determined to work with the government to find new opportunities in Brexit, which is expected to happen in 2019. It hopes are that by supporting the government’s policy, the sector can gain some meaningful benefits from Theresa May’s promised ‘industrial strategy’ for key sectors, including life sciences. The UK could boost its life sciences sector with changes to its tax regime, increased spending on medicines or streamlined regulation – although tight government finances means big gestures are unlikely to materialise. For these reasons the senior UK pharma execs surveyed – who gave their answers anonymously – are clearly unconvinced. The results are part of a wider pharmaphorum poll on UK pharmaceutical market issues – but Brexit and all the uncertainties it has generated is undoubtedly preoccupying business leaders. “It’s pretty clear that these respondents believe that there could be a negative outcome to Brexit in the long term,” comments Sarah Rickwood, Director, Thought Leadership, QuintilesIMS. The most popular response was a Soft Brexit – which could entail the UK remaining part of the European Economic Area, or the customs union. This would allow tariff-free trade, but the EU would also insist on preserving the free movement of people, something which Theresa May’s government believes the country voted against in the referendum. No respondents said a Hard Brexit would be favourable. Some also backed a ‘sector specific deal’ – the idea that the UK could negotiate trade deals for each of its key industrial sectors. This idea gained currency in October, when Japanese car manufacturer Nissan was reported to have secured assurances about trade from the UK government. However this option looks increasingly unlikely, with the EU flatly rejecting the idea of negotiating on these terms. Perhaps the starkest result is that three respondents said Brexit should be stopped – a response that is almost taboo, and certainly ‘politically incorrect’ when talking to the government about how to respond to the referendum result. Some still believe the government may be forced to hold a second referendum – if not giving an option to stop the process, then at least setting out a choice between a hard or a soft Brexit. It’s clear that the UK can’t “have its cake and eat it”, but the government is still refusing to acknowledge the need for any trade-offs, insisting that it can deliver the Brexit it believes the country voted for. 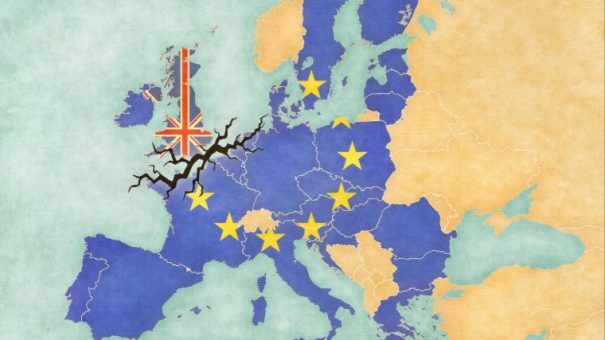 Why the pessimism about Brexit? The reasons for the UK leaders’ pessimism is quite clear – new barriers to the free movement of goods and people could be erected, and the UK could be forced to leave the pan-European group of countries for which the European Medicines Agency approves all new innovative medicines. This ‘worst case scenario’ – most probably a Hard Brexit – could see the UK sidelined in medicines approval, making it an also-ran behind the rest of Europe. New restrictions on work permits and student places for EU nationals and other foreign workers could starve the UK’s biotech, pharma and universities of the global talent pool on which it currently relies. The UK is one of the top 5 Europe markets (alongside Germany, France, Italy and Spain) and together with the US and Japan represents the core global markets for launching innovative new medicines. While the likelihood of a Hard Brexit looks to be receding, there is no doubt that the uncertainty and upheaval up to an exit from the EU in 2019 and beyond could hit many businesses, not just pharma companies. The question of freedom of movement of people is one of the biggest issues. At the moment, the UK government hasn’t even guaranteed the right of EU citizens currently living in the UK to stay post-Brexit. The UK needs top talent in science and in commercial departments, and will suffer without it. Sarah Rickwood says the industry has “extremely international personnel” but can’t do anything about the issue unilaterally. Recent announcements from GSK and Takeda confirming long term investment in the UK are encouraging, and mean that the UK won’t lose its status as an international base for science overnight. Nevertheless, several UK leaders confirmed to pharmaphorum that the country’s position as a key market hangs in the balance. This includes its current status as an early launch market: were this to end, it could mean British patients wait new medicines could reach patients here later. Even with the huge depreciation in the pound this year, pharma still wouldn’t change launch plans based on exchange rate fluctuations. “You choose your launch countries based on the market potential you think your product has, the sophistication of the healthcare system and its ability to take up and use the product early and well, and the influence of that country on the product’s uptake in other countries,” adds Rickwood. But it’s clear that Brexit isn’t the only issue on UK pharma’s mind – indeed it may be distracting from more fundamental questions about the funding of the NHS and new medicines. The health service in England is currently experiencing an unprecedented squeeze on its finances, and NHS payers at all levels have acted to curb spending at all levels. One of the most high profile examples are the limits on Hepatitis C drug prescribing. Indeed, elsewhere in the pharmaphorum survey, our respondents indicate that the two biggest barriers to market access are the overall NHS financial problems, and barriers in the local NHS organisations. “This reflects that there isn’t enough money in the system at the moment, and the NHS at a local level is slow in the uptake of new medicines,” concludes Sarah Rickwood. 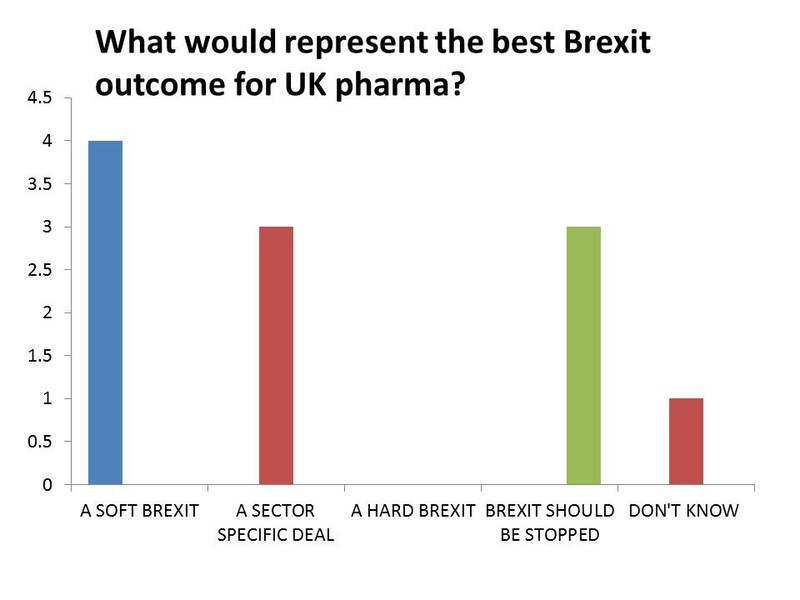 Despite the pessimism portrayed by the survey, the UK pharma leaders pharmaphorum spoke to all said they were all determined to minimise the problems caused by Brexit, and make the most of any opportunities that arise. Nevertheless, with the ultimate deal on Brexit dependent on what will be highly politicised negotiations with the 27 remaining members of the EU, the UK is taking a leap into the unknown. Watch out for the full results from the pharmaphorum survey of UK pharma industry leaders in January, plus an exclusive interview with Department of Health minister Lord Prior on government plans for Brexit and a life sciences industrial strategy.